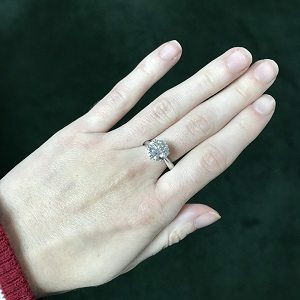 Diamond solitaire engagement ring model Alexandra. 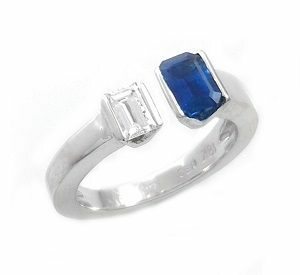 The ring has 6 triangle prongs clawing the diamond. That setting protects the diamond, also allowing the diamond to shine. 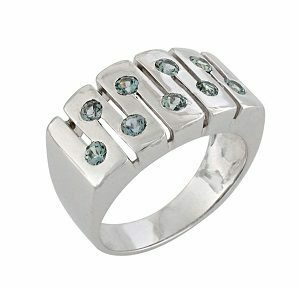 The ring set with a natural diamond. EACH OF OUR JEWELRY WILL BE ACCOMPANIED BY A CERTIFICATE FROM, AN INTERNATIONAL GEMOLOGICAL INSTITUTE. SUCH AS EGL PLATINUM OR GW LAB. WHICH CONFIRMS THE QUALITY OF DIAMONDS, GEMS, AND GOLD. 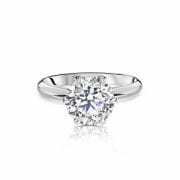 Center diamond in a round brilliant cut. Color is white color F-G. Clarity is an eye clean VS-SI. 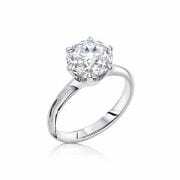 Regarding the total carat weight – you can choose the size from 1.00 – 10.00 and more. The gold karat, purity of the ring is 18K gold. 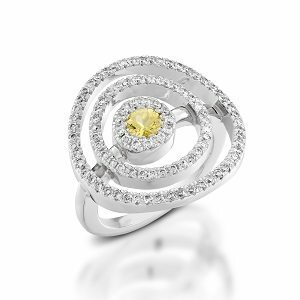 You can select the ring gold color: white, yellow, and rose. 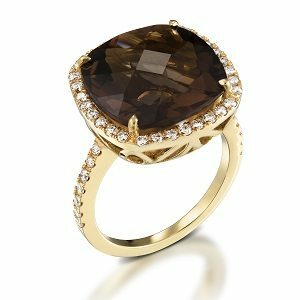 The ring center gemstone is available with any kind of diamond & colorful gemstones.